List of all the detail oriented and informative ColdFusion Builder tutorials, extensions, features, articles, blog posts of the great CF Community. Contact me for any addition / correction to the below list. What Request Data Does ColdFusion Builder Post To Extension Handlers? 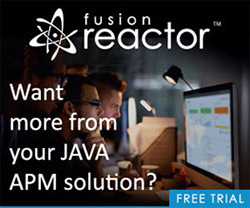 Where ColdFusion Builder finds my CFCs? Ho Do I generate ORM CFC's? ColdBox Extension For ColdFusion Builder!